Raise the level of your family trip and share traditional living in Peru! 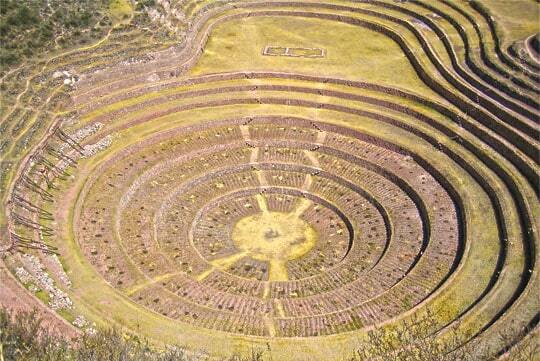 Machu Picchu Family Tour is an amazing journey through Cusco ancient life and Machu Picchu. Wander the ancient streets of Cuzco, explore the local fruit market of San Pedro and interact with local people, visit Sacsayhuaman the impressive inca site, enjoy the nature around Cusco while ride a horse, have a mountain biking adventure in the Sacred Valley great way to explore the beauty of this place, explore magnificent Machu Picchu, make your own fishing implement by hand in Tumi community and fish your own trout in the lagoon, Explore Humantay snow and lake the sacred haven of the Incas as much as a physical, natural and spiritual journey of transformation. A Mountain Biking Tour is a great way to explore the beautiful surroundings of the Incas’ Sacred Valley. 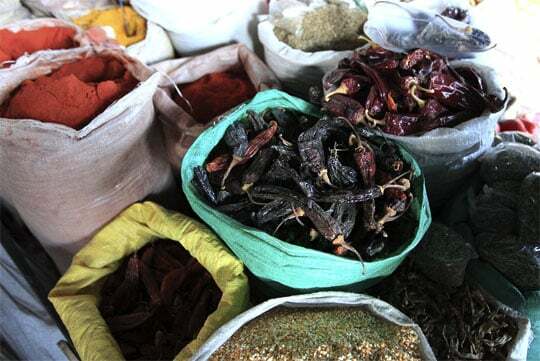 The Sacred Valley Tour is perfect for people who love outdoor adventurous activities. This is the best adventure activity for families that will help you explore the wonderful sites surrounding the Sacred Valley. On this tour you can enjoy the splendid landscape of snow capped mountains, the Andean lakes, picturesque villages and vibrant colors of cultivated plots on your way. 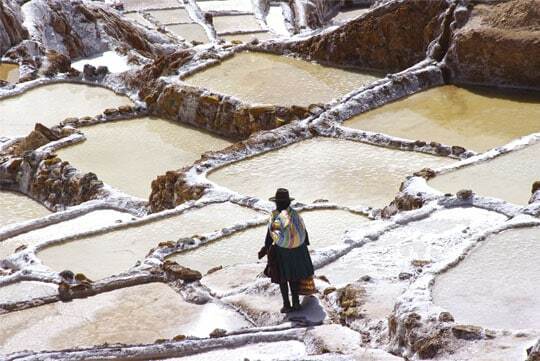 After passing the Huaypo lagoon you will reach Archaeological Park of Moray, and then you will reach Maras where you can have a delicious picnic and then continue riding below Maras to the old salt pans. Your next destinations will be the remains of Ollantaytambo Fortress and the Temple of the Sun, a mysteriously built structure with massive 12 foot (3.5m) tall stones. 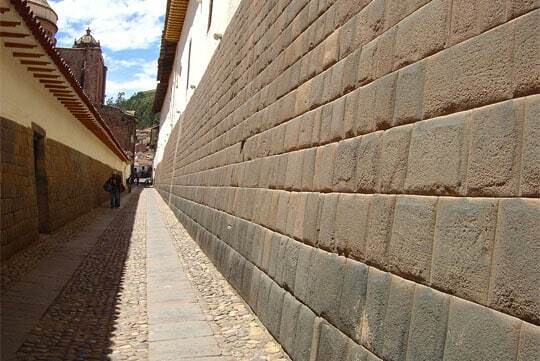 Personalized pick up from your hotel at 07:00 am, depart from Cusco by a private van to Q´eswachaca (ancient Inca Bridge). After 2 hours driving through beautiful scenery, with a variety of flora, we will arrive to Miski qocha (a beautiful lake), which is part of the 4 lagoons circuit, from here 50 minutes more driving to get Q´eswachaca, as we approach, we will be impressed by the imposing Apurimac canyon, finally we will reach the Inca Bridge. We were pleasantly impressed by the high degree of engineering our ancestors achieved. This ancient Inca Bridge is a suspension bridge made of vegetable fiber call (ichu), here we will see how our ancestors achieved use the perfectly engineering and technique to build bridges that connect towns and regions. Then our private van will take as to T´umi community, where we will share an organic lunch with a local family, free time to relax in this peaceful place, surrounded by an amazing lagoon, at around 4pm, you will participate in the daily activities of the family, you may help feeding guinea pigs, or pick up and take at home the donkey and cows, after dinner, overnight at the Home stay; It has basic but comfortable facilities, good mattress, blankets & sheets, private toilet. Breakfast with the family, then you will prepare your own traditional fishing implements, then in a craft boat, we dive into the lake, ready to start with our fishing activity. After sailing, with our fishes ready, we will go to the house, to deliver the fishing, where they will prepare our lunch from the fresh trout.